I know I am late to the game but I finally decided to get laser hair removal. I’ve always wanted to not have to shave all the time but never got around to really looking into the details of laser hair removal. My friends in college got laser hair removal with Groupons and they didn’t have the best results or stories to go with it. I didn’t want to have all the hair on my body but I also didn’t want to put myself through thegb pain. During my second pregnancy I realized I NEEDED to get laser hair removal. Shaving is the biggest inconvenience and it’s time consuming and I don’t have time to deal with all of that, espeically with two litle kids. I just finished having my second treatment of laser hair removal at A Beautiful You Medical Spa in Memphis. The biggest question I have been getting is, “Is it worth it?”. Let me tell you how it goes. Oh, and by the way, it is worth it! 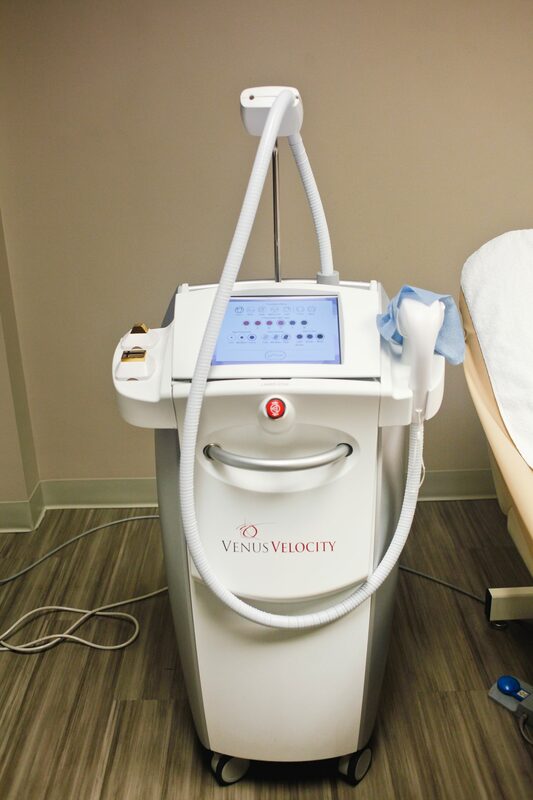 Laser hair removal is a permanent hair removal treatment that uses a laser to destroy the hair follicle so it can no longer grow. At A Beautiful You Medical Spa you receive 5 treatments plust 2 touch up treatments if necessary. The reason you need 5 treatments is because hair grows in a cycle of three stages, anagen (growth), catagen (transitional), and telogen (resting). At any given time 30% of your hair is in the growth stage which is when the hair is best targeted for laser hair removal. I heard the pain increases as the treatments go on because the strength of the laser is increased, I also heard the pain decreases because the hair becomes finer. I’ve only had 2 sessions so I will have to wait and see. I always thought I had a relatively high pain tolerance but it seems to be my tolerance is decreasing as I get older! I have never had anything waxed before so I don’t have that to compare to. They give you ice to put on the areas to help numb it a little and that really does help a lot. My armpits don’t usually bother me and the bikini area can be sensitive so make sure you let the ice sit on there really good! Around the ankels was pretty painful, they start at your knee and there was zero pain (zero icing also) and I was excited, I thought I can handle this. Then she worked her way down to my ankles and oww weeee! The good thing is it is such a short burst of pain it is over by the time you realize it hurts. There is also no down time which is great. So far I have had a great experience. The office is warm and inviting and the staff is so kind and knowledgeable. I’ve enjoying getting to know the ladies that work at A Beautiful You and I am loving my results so far! Two things you will want to know about A Beautiful You. 1) They have a “Beauty Promise Program” which offers a lifetime of protection for your investment giving you the best assurance for your investment. 2) They are offering buy 1 treatment and get 2 (for equal or lesser value) for free!!! Make sure to mention Living LeReve. Comment below if you have any other laser hair removal questions and I will happily answer! This post is in collaboration with A Beautiful You Medical Spa. As always, all opinions are my own.